CIT–VI vs. Madhav Enterprise (P.) Ltd.
2.1 That with respect to Assessment Year 2006-07, the assessment in the case of the assessee under section 143(3) of the Act was completed on 24.12.2008 by the Assessing Officer. During the course of scrutiny assessment, the Assessing Officer noticed that certain deposits were repaid in cash exceeding Rs.20,000/- i.e. otherwise then by an account payee cheque or bank draft to various persons amounting to Rs.15,92,940/- and thus assessee violated the provisions of section 269T of the Act and, therefore, the Assessing Officer made reference to the Additional Commissioner of Income-Tax, Bhavnagar Range-1, Bhavnagar for initiation of penalty proceedings under section 271E of the Act. 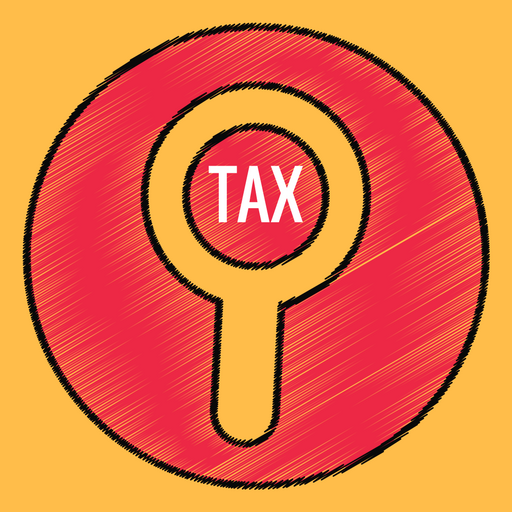 2.2 That the Additional Commissioner of Income-tax initiated penalty proceedings under section 271E of the Act. Show-cause notice was issued upon the assessee on 22.1.2009 to show cause as to why penalty under section 271E of the Act should not be levied for contravention of provisions of section 269T of the Act. 2.3 That the Additional Commissioner of Income-tax passed the final order on 9.4.2009 imposing penalty of an equal amount of Rs.15,92,940/- being penalty under section 271E of the Act. 3. At this stage, it is required to be noted that it was the specific case on behalf of the assessee that the amount of Rs. 15,92,940/-, which was repaid was by way of advance taken from different persons and on the other hand, the Department treated it as loan and/or deposit. “9. We have heard the rival; submissions and perused the material on record. The factual matrix of the case is that the assessee is engaged in the business of building properties of various sites. The assessee has sold 264 units in his project and in the case of 18 parties the amount aggregating to Rs.15,92,940/- was returned to the parties in cash. It is a fact that the amount returned represented the earnest money received by it on sale of units. The assessee has reflected the advance received in its balance sheet and the same has been accepted by the Department in the earlier years. The advances received also included receipt in cash. The amounts refunded did not include any interest. 10. In the case of the CIT v. Rugmini Ram Ragav Spinners (P.) Ltd. (2008) 304 ITR 417 Hon’ble Madras High Court held ” the penalty u/s. 271E is not automatic and is to be levied only in the absence of reasonable cause. The rationale behind provisions of Sec.269SS and 269T is to prevent the tax evasion, i.e. the laundering of concealed income by the parties in the guise of cash loans or deposits in or outside the accounts. The provisions of section 269SS and 269T therefore have application only in a limited way in respect of deposits or loans. When it is neither deposit nor loan. The [provisions of section 269SS and 269T have no application at all. 11. The term loan or deposit as per explanation to section 269T means any loan or deposit of money which is repayable after notice or repayable after a period. In the case of the assessee the advance money/earnest money was not accepted with any pre-conditions of repayment on or after an interval of time. CIT(A) has given a finding that considering the nature of repayment the amount returned does not fall under the narration of loan or deposit. Further he has also given a finding that the advance money received from the customers has not been converted into loan or deposit. He has further observed that in some cases the assessee had accepted the advance money in cash in excess of Rs.20,000/- which was in the knowledge of A.O but A.O had not applied the provisions of sec.271D of the Act. He has further held that there is no ban in the Act against accepting cash for sale of an immoveable asset. In the present case the advance is for purchase of shop/premises which is accepted asset. CIT(A) has further observed that A.O has not commented on the detailed submissions filed before him during the course of penalty proceedings and without appreciating the full facts. A.O has levied penalty only for the reason that the refunds were made by the cheques. Nothing has been brought on record by Revenue to controvert the findings of CIT(A) further the case laws relied by the Revenue are also distinguishable on facts. 6. Feeling aggrieved by and dissatisfied with the judgment and order passed by the ITAT, the Revenue has preferred the present appeal. 7. Having heard Ms. Mauna Bhatt, learned counsel appearing for the Revenue and considering the orders passed by ITAT as well as CIT(A), and as observed by ITAT and CIT(A), an amount of Rs. 15,92,940/- returned by the assessee to various parties was by of advance and the assessee also reflected the said amount of advance received in its balance-sheet, which came to be accepted by the Department in the earlier years, it is rightly held that section 269T of the Act would not be applicable and, therefore, no penalty under section 271E of the Act can be levied for breach of section 269T of the Act so far as the assessee is concerned. 8. Considering the aforesaid facts, we see no reason to interfere with the impugned judgment and order passed by the ITAT in confirming the order passed by the CIT(A), quashing and setting aside the order impugned order of penalty passed by the Additional Commissioner of Income- Tax. No question of law much less any substantial question of law arise in the present appeal. Accordingly, present Tax Appeal is dismissed. This entry was posted in Section 269T, Section 271E and tagged 356 ITR, Gujarat High Court, In favour of Assessee.